Last time I looked, “likes” were still NOT a commodity. And yet, small businesses have fallen into the trap that they mean something. It is the silliest thing! I’ve done it. I hear others doing it. But when it comes right down to it, you cannot buy a chicken sandwich with “likes”. However, if you have an email list of engaged followers, you just might be able to put food on your table. For example, last week I sent out an email about these really cool, new, folding floating mats. It’s a very specific product for our boaters. Well, the simple email I sent out generated one sale! That IS something that WILL pay for a chicken sandwich. At one point the buyer probably liked or continues to like my posts. They may share my posts. They are a follower. But what really matters is they are on my email list. I was able to craft a message that was useful to a group of boaters. It was not spam. The message was… “pre-order by tomorrow to receive by the weekend.” It was a product they desired and there was no extra shipping if they took action quickly. This person had been on my email list for a couple years. This type of marketing is valuable. You still can’t head to the fast food joint and say, “I will pay with 2,000 email addresses.” But when you can create an email and generate an immediate sale, Marketing is THE Profit Center. Don’t get me wrong… it’s nice to know a post received likes, it’s awesome when someone shares it, and I love followers (hint… follow this blog – haha! I know, shameless self-promotion). But it’s true. Metrics make us feel good, and they do have a certain role in understanding IF we are communicating with our target audience. Remember, your goal is to communicate and engage with your audience. The likes/follows/shares will naturally occur. But the REAL goal is to build your own list of email contacts, nurture these folks, and convert into sales. That’s how you buy a chicken sandwich. I think I love this quote…”Don’t measure what you can. 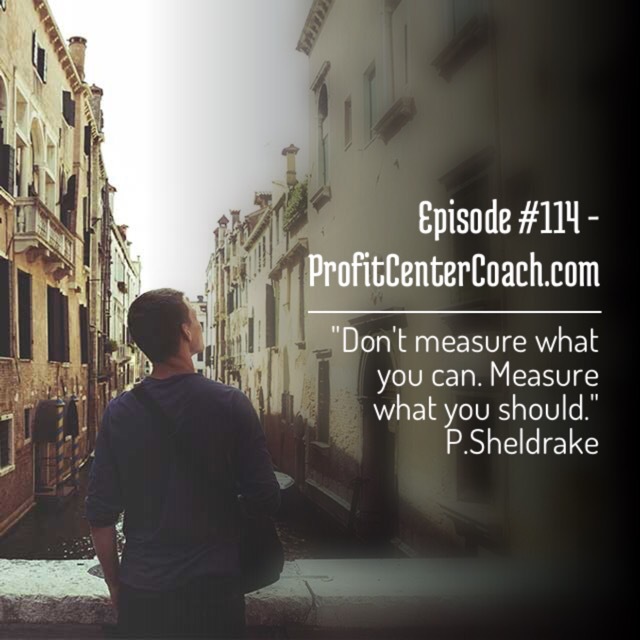 Measure what you should!” PSheldrake – Yep. I love it! 1- Build your list! (I mean for real this time) Start collecting emails of your current customers. 2- Start to write messages. You can’t just sent out a “buy now” each time, but when you create content that matters to your customer, the “buy now” opportunities will follow! Episode #115 – Develop a New Profit Center Based on Creativity!